The Dallas Central Business District (CBD) landscape is constantly evolving, as the City of Dallas and private parties invest billions of dollars to further develop the local economy. The evolution of the CBD has improved the area’s business climate, infrastructure and transportation, as well as the overall appeal. It has become one of the most desirable locations to rent office space in dallas . 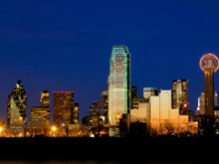 Downtown Dallas is home to various big business headquarters and major offices. For education, El Centro College offers a wide variety of programs to study, and the University of North Texas plans to open a law school in the former City Hall Building. Enjoy a meal from almost any country! With over 250 street front restaurants to choose from you won’t go hungry or get bored. Downtown Dallas also boasts more than 150 shops! You can enjoy specialty and boutique shopping, as well as larger retail stores. Nearby are several parks including Fair Park, Dallas Heritage Village and Trinity River Greenbelt Park; to name a few. Nor is the city short on culture. The Dallas Arts District covers more than 65 acres at the north end of Downtown Dallas, and it is one of the largest urban cultural districts in the country.